An illicit love affair is set to have consequences far beyond the walls of a smart town house in London’s Blackheath in 1962. Fifty years later, the legacy of one young couple’s forbidden passion will be the catalyst for a journey of discovery and a fresh start for a heartbroken woman needing to escape her troubled life. Lulu Taylor, author of a string of exciting and gorgeously escapist novels, including The Winter Folly, Outrageous Fortune and Beautiful Creatures, can always be relied on to sweep us away on a tide of adventure, romance and glamour. So what better than her intriguing and atmospheric new saga, a wintertime treat of love, mystery, hidden secrets and dysfunctional families. At the age of 21, Cressie Felbridge is living the high life as a debutante in 1960s London society and being courted by Adam, a young City lawyer with a promising future. But Cressie is restless… she wants to be a part of a life that is changing for everyone, particularly women. Her wealthy father, meantime, has lined up Cressie to have her portrait painted by an up-and-coming young artist, the nephew of a good friend, and she is duly packed off to Blackheath for a series of sittings. But as soon as she meets Ralph Few, Cressie knows her life will never be the same again. She falls madly in love with handsome, talented Ralph, but there’s one big problem… he is already married to Catherine. As Cressie is drawn into a strange, triangular relationship, Catherine’s behaviour becomes increasingly erratic and Ralph and Cressie escape to Cressie’s family home near Carlisle. But Catherine will not give up her husband so easily. In the present day, Emily Conway has everything she could wish for… a huge house in West London, two beautiful children and a successful husband Will, chief financial officer for a City hedge fund. 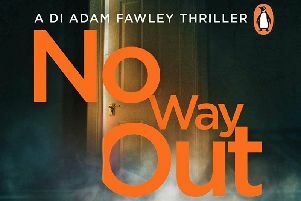 But as Emily and Will are driving off to an out-of-town party, Will reveals that he has been betrayed by his Russian boss, wiping out the business and every penny that Will possesses. In desperation, he steers the car off the road at high speed and their perfect life is abruptly ended. Only days after she wakes from her injuries, Emily is told of a mysterious legacy – a house in Cumbria on the edge of an estate, left to her by a woman she has never met. Mysterious December House could be her chance to start again but first she must uncover its history before the past and the present can coexist peacefully.